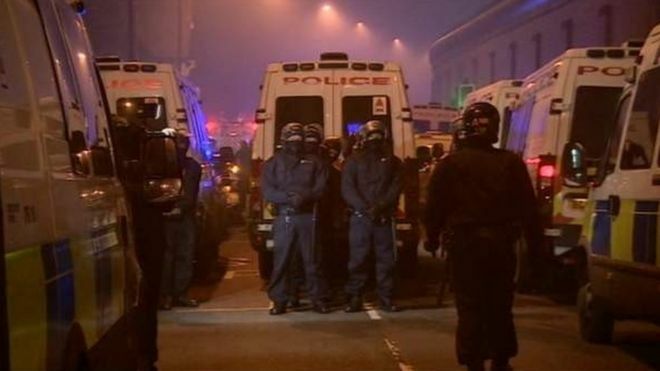 Last night a full scale riot escalated at HMP Birmingham, better known locally as Winson Green, continuing for 12 hours as several riot cop units were unable to contain the escalating rebellion. 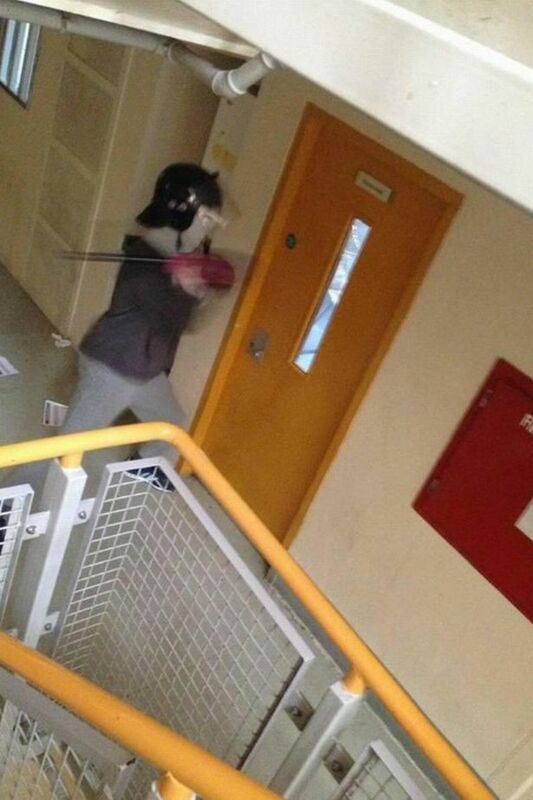 The outbreak of rage began when some inmates broke lights and grabbed fire hoses in the prison’s N Wing. 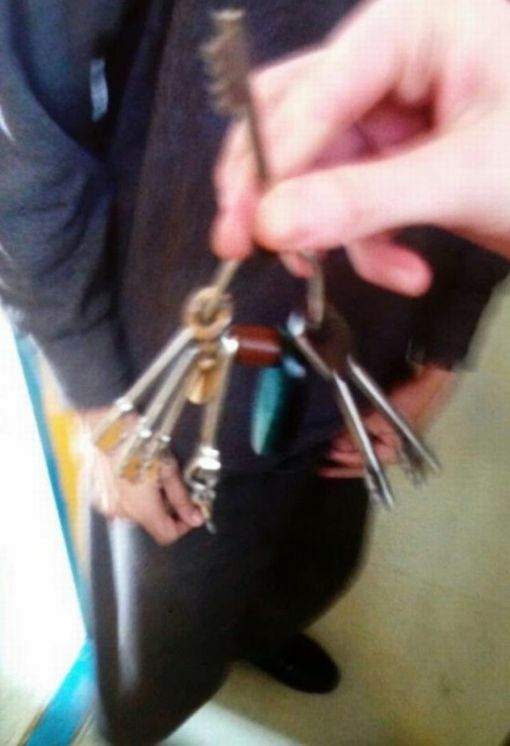 The screws moved in to lock prisoners back in their cells while the fracas was contained, prisoners overpowered a screw, took his keys and started unlocking the cells. Screws were forced to flee after the rioters numbering 600 cut through chains and burned documents in the worst prison disorder for more than 20 years. Internal connecting security gates were left chained to prevent rioters taking control of the whole prison, but it was not enough to stop the rebellion spreading. Prisoners used stolen equipment to cut through the chains. 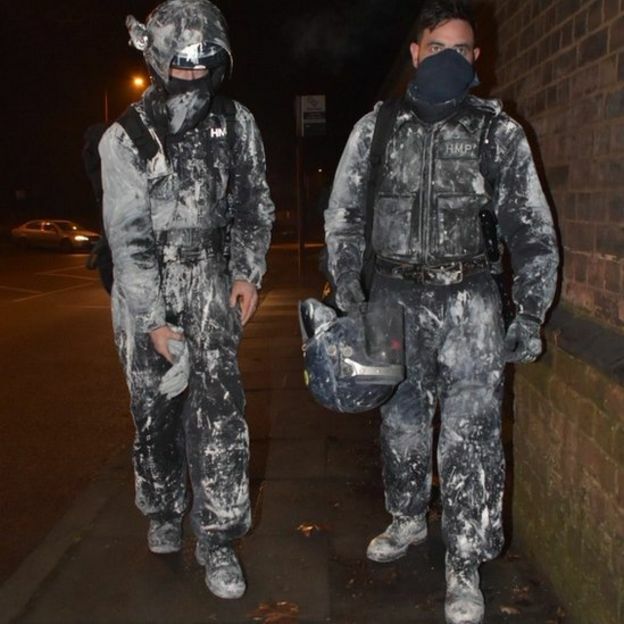 Within a short time four wings – said to be L, M, N and P – fell under the control of the rioters, who also broke into the security store, pharmacy and gym. Prison owners scumbag G4S had to admit defeat and handed over control of the jail to the Ministry of Justice. 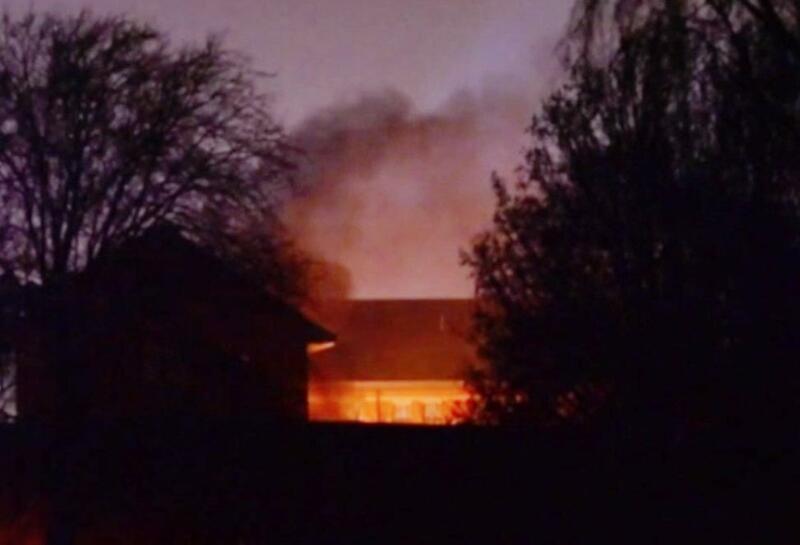 Specialist response ‘Tornado’ teams were sent in to try to restore order as fires broke out and inmates chanted ‘war cries’ which could be heard outside. As the stand-off ran into the early evening the authorities were panicking that rioters might break through gates into so-called “sterile” areas between the walls of the prison and the lock-up areas. The prisoners made it as far as the exercise yard and cops started to block the gate. It was reported that the inmates broke in to the Offender Management Unit, where their paper records are stored and started setting fire to the documents. One was said to have hurled a computer out of the window of the office. By 6pm fires could be seen raging in the OMU, laundry and gym inside the prison and an armed unit of cops was also seen entering the prison to quell the riot. 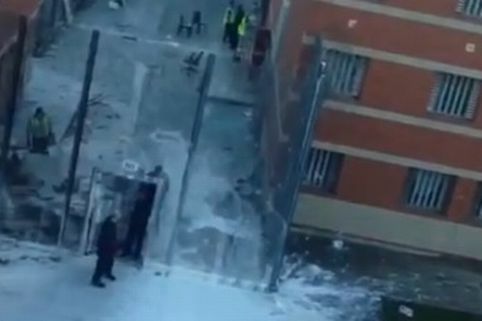 Prisoners commenced battle with the riot cops even throwing paint at them, as cops could be seen leaving the prison later covered in it. After 12 hours of chaos the cops were only able to repress the riot in all 4 wings at 23:00. Today 240 prisoners are in the process of being transferred and dispersed as repression against the rioters begins. *Black Mamba is a synthetic drug that is easily smuggled into drugs. This entry was posted in Prison, Riot and tagged FIRE TO THE PRISONS!, G4S, HMP Birmingham, prison riot, THE PASSION FOR FREEDOM IS STRONGER THAN ANY PRISON, Winson Green. Bookmark the permalink.